The AHA has again asked the Centers for Medicare & Medicaid Services to delay implementing the site-neutral provisions of the Bipartisan Budget Act next Jan. 1, citing potential risk for hospitals to violate the Stark law and Anti-Kickback statute. Under the site-neutral rule, CMS would pay for services rendered in hospital outpatient departments at the same, lower rate it pays for treatment in physicians’ offices. The proposal has engendered controversy since its announcement, with physicians and hospitals taking opposing views. The AHA now has further ammunition in its push to delay the rule’s implementation. Parts of the rule would apparently make hospitals vulnerable to punishment under laws restricting hospitals’ provisions of free goods or services to referring physicians. To read a longer story on this, please hit this link. We’re going to see a lot more Stark Law cases as physicians and physician groups are pressed to get more integrated with hospitals. There’s a bit of a paradox here: CMS and some other government agencies are pressing for more care integration even as the Stark Law can discourage it. To say the least, trying to comply with the Stark Law can be a challenge, including figuring out what “commercially reasonable” means. There is a good chance that your once-independent doctor is now employed by a hospital. Michael Reilly, M.D., a Fort Lauderdale, Fla., orthopedic surgeon, does not believe this is good for physicians, patients or society. For years he watched Broward Health, a nonprofit Florida hospital system, hire community doctors, pay them millions and minutely track the revenue they generated from admissions, procedures and tests. “We are making money off these guys,” Broward Health’s CEO told Reilly, according to a federal whistleblower lawsuit filed against the system by Reilly and the U.S. Justice Department. Last month Broward Health agreed to pay $70 million to settle allegations that it engaged in “improper financial relationships” with doctors under laws prohibiting kickbacks in return for patient referrals. Giving doctors incentives to generate medical revenue is widely deemed unethical because it tempts them to order unneeded treatment or send patients to lower-quality providers. Physicians with a financial interest in a medical facility tend to prescribe more procedures than those who don’t, studies show. Lawmakers have repeatedly tried to ban or limit such behavior at least since the 1970s. What happened at Broward Health and numerous other hospitals suggests they haven’t succeeded. Now that hospitals everywhere have gone on their own physician acquisition sprees, Reilly worries the same thing will keep occurring. Hospitals, burdened with large, fixed costs and anxious to ensure patient referrals and revenue in a changing industry, are doing the opposite. “Doc binge buying rolls on” was the June headline in Modern Healthcare, an industry magazine. A third of doctors now work directly for hospitals or for practices with at least partial hospital ownership, estimates the American Medical Association. Broward Health is a taxpayer-supported system with five hospitals and a publicly appointed board. More than a decade ago it launched an expansion drive that included hiring previously independent physicians and paying CEO Frank Nask and other executives large bonuses if the institution increased revenue and the bottom line. It agreed to hire orthopedists and cardiologists for more than $1 million a year — far more than average for such specialties. It paid orthopedic surgeon Dr. Erol Yoldas, also team doctor for the Florida Marlins baseball team, nearly $1.6 million in 2009. Reilly rejected an employment deal with Broward Health after his lawyer told him it was illegal, he said. His whistleblower complaint, originally filed in 2010, was unsealed last month. The system carefully tracked the return on its investment in the other doctors, recording the value of referrals and pressuring them to increase volume if they lagged, the lawsuit said. Although Broward Health paid an enormous sum to settle allegations of wrongdoing, it did not admit those allegations, which is typical in such cases. CEO Nask retired last year. Nobody in the system has been charged with criminal wrongdoing. Yoldas did not respond to requests for interviews. Nask did not respond to messages left at a number listed in his name. Thanks to an uncoordinated system that pays for procedures instead of keeping people healthy, 30 percent of U.S. health care dollars spent in 2009 were wasted on unnecessary treatment, excessive administrative costs or fraud, calculates the authoritative Institute of Medicine. Reilly responds carefully when asked whether doctors employed by Broward Health were ordering unneeded procedures. He’s concerned about possibly getting sued by a system with “deep coffers,” he said. Reilly preferred working as an independent — on staff at hospitals but not employed by them. He didn’t feel compelled to generate revenue by ordering procedures, he said. If Broward Health pushed a brand of artificial knee he felt was wrong for a patient, he could do the operation elsewhere. If he had concerns about the system’s radiology department — as some doctors did, according to the lawsuit — he could refer people to a different facility. Fewer and fewer doctors have the same freedom, Reilly worries. Some believe the AMA underestimates the portion of physicians employed by hospitals. 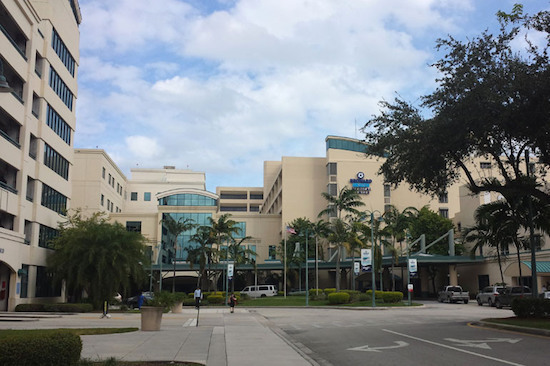 Hospitals have been especially keen to hire primary-care doctors, the specialty that generated the highest referral profits for Broward Health, according to the lawsuit. Not only does hospital employment “dramatically” boost chances that a doctor will refer to that hospital, but it also raises odds that patients will end up at a higher-cost, lower-quality facility, finds a recent study from Stanford University researchers. Like Broward Health CEO Nask, many hospital bosses get bonuses for increasing revenue and profits. In the last two years the Justice Department has settled more than a dozen cases under the Stark Law, which prohibits improper financial inducements to doctors in return for patient referrals. He is skeptical that accountable care organizations — collaborative groups of doctors and hospitals that are supposed to focus on keeping patients healthy and not on maximizing revenue — will change the dynamic. Hospital hiring of physicians “not only fosters an environment to motivate physician referrals, but also blunts physician innovation, discovery and ingenuity,” he said. What should patients do? Ask their doctor who he or she works for, Reilly added. If the doctor is employed by the hospital and recommends surgery or some other expensive treatment, he said, “research the indications for the procedure” and “consider a second opinion” from an independent practitioner.